Contains full text articles from over 3460 scholarly publications in fields such as social science, the humanities, education, computer science, linguistics, literature, medicine, and ethnic studies. Some references are citation only. Offers articles on complementary and alternative medicine and focuses on holistic and integrated approaches to health care. Contains full text articles from over 170 international reports, proceedings and newsletters, plus hundreds of pamphlets, special reports and book excerpts. Since 1932, Annual Reviews has offered comprehensive, timely collections of critical reviews written by leading scientists. Annual Reviews publications are among the most highly cited in scientific literature. Library has access to the Annual Reviews Social Science Suite. The APA PsycNET platform provides access to two of APA's products: APA Handbooks and PsycTESTS, as well as access to journal articles published by APA. APA Handbooks is a subset of PsycBOOKS database that includes full-text of books in APA Handbooks in Psychology series. PsycTESTS is a repository for the full text of psychological tests and measures as well as a rich source of structured information about the tests, which is also available on the EBSCO platform. Consult our digital library of APA Style quick guides and tutorials to refine your writing. Learn how to plan sound research with our research tools, and build a reference library with customized APA Style reference templates. Translate your research into concise, powerful articles that are formatted for style. When your work is ready, use our browse and search features to identify the best journals for publication. This is the world's definitive scholarly business database, providing the leading collection of bibliographic and full text content. As part of the comprehensive coverage offered by this database, indexing and abstracts for the most important scholarly business journals back as far as 1886 are included. In addition to the searchable cited references provided for more than 1,200 journals. Username and password authentication required. Please email the library to gain access. A searchable collection containing real transcripts of therapy and counseling sessions and first-person narratives illuminating the experience of mental illness and its treatment, as well as reference works to contextualize the primary material. New material is added on a biweekly basis and, when complete, the database will contain more than 2,000 session transcripts, 40,000 pages of client narratives, and 25,000 pages of secondary reference material. The database currently includes approximately 34,600 pages of material, including more than 9,000 pages of session transcripts, more than 11,000 pages of client narratives, and more than 13,000 pages of secondary reference material. Provides the largest and richest online collection of video available for the study of social work, psychotherapy, psychology, and psychiatric counseling. The collection's wealth of video and multiplicity of perspectives allow students and scholars to see, experience, and study counseling in ways never before possible. Indexes journals in corrections, criminal law, criminology, drug abuse, family law, juvenile justice, police studies, prison administration, rehabilitation, and security systems. Includes some full text articles. Includes dissertations and theses from ProQuest. Titles published since 1997 are available in PDF digital format and have 24 page previews and full-text, called "Page Image - PDF." For earlier dissertations, you can order a copy for a price. Lists and describes the different EBSCO databases. Can search one database or several. Also has links to the list of titles in each database. The U.S. Securities and Exchange Commission's EDGAR database provides free public access to corporate information of publicly traded companies. EDGAR provides access to annual reports (aka the 10K), executive compensation, initial public offerings as well as other mandated filings to the SEC. Covers all levels of education from early childhood to higher education, and all educational specialties, such as multilingual education, health education, and testing. Provides indexing and abstracts for more than 1,500 journals, and includes full text for more than 750 journals, 100 books and monographs, and numerous education-related conference papers. Provides indexing and abstracting for over 1,000 education-related journals, and includes full text of more than 2,200 ERIC digests and other documents. Searching ERIC on EBSCOHost will provide easy linking to full text available from other EBSCOHost databases, including Education Research Complete and Academic Search Premier. Use for more current citations. Search across 250,000+ theses for free and order for full text quickly and easily. Many UK institutions support Open Access to their theses, so download of their digital and digitised theses is free to the researcher. A small number of participating institutions may not be able to offer Open Access and in this case the researcher may have to pay for the digitisation. Link me to full-text @Alliant: 1. Click on menu in upper left; 2. Click on Settings (wrench icon); 3. Click on Library links; 4. Search for Alliant and select the box next to our name; 5. Search! Google Scholar provides a simple way to broadly search for scholarly literature. From one place, you can search across many disciplines and sources: articles, theses, books, abstracts, and court opinions from academic publishers, professional societies, online repositories, universities, and other web sites. Google Scholar helps you find relevant work across the world of scholarly research. Google Scholar to work with the Alliant Library link resolver and databases to link to full-text when possible if you connect Google Scholar using Library Links. Covers information on topics such as nutrition, childcare, sports medicine, pediatric and adult health, behavioral health, and women’s health. Offers full text articles from over 190 journals and abstracts for over 2800 general and professional publications. Includes Merriam-Webster’s Medical Desk Dictionary. Offers full text articles from almost 580 scholarly journals and abstracts for over 615 journals on several medical fields. Includes Merriam-Webster’s Medical Desk Dictionary. Provides access to over 10,000 full-text news, business, and legal sources using a variety of flexible search options. The news coverage includes deep backfiles and up-to-the-minute stories in national and regional newspapers, wire services, broadcast transcripts, international news, and non-English language sources. Use the included Company Dossier module to retrieve detailed company information and financial performance measures or identify and compare companies matching specific criteria. This product also provides access to the renowned Shepard's Citations® service for all federal and states court cases back to 1789. LGBT Studies in Video is a cinematic survey of the lives of lesbian, gay, bisexual, and transgender people as well as the cultural and political evolution of the LGBT community. This first-of-its-kind collection features award-winning documentaries, interviews, archival footage, and select feature films exploring LGBT history, gay culture and subcultures, civil rights, marriage equality, LGBT families, AIDS, transgender issues, religious perspectives on homosexuality, global comparative experiences, and other topics. One of our primary partners for this collection is Frameline, a nonprofit media organization that produces the San Francisco International LGBT Film Festival, the oldest film festival devoted to lesbian, gay, bisexual, and transgender programming currently in existence. Over 1,000 maps published by Map.com. This comprehensive database, designed specifically for high school libraries, contains full text for nearly 500 popular, high school magazines including Americas Civil War, American Heritage, American History, Archaeology, Astronomy, Bioscience, Careers & Colleges, Civil War Times, Congressional Digest, Discover, Economist, History Today, Nation, National Review, New Republic, New Scientist, Popular Science, Science News, Scientific American, Smithsonian, World War II, etc. All full text articles are assigned a reading level indicator (Lexiles). Full text is also available for 84,774 biographies and 100,554 primary source documents. Additionally, MAS Ultra School Edition contains more than 350 reference books (including the Columbia Encyclopedia, the CIA World Fact Book and World Almanac & Book of Facts), an Image Collection of 235,186 photos, maps & flags, color PDFs and expanded full text backfiles (back to 1975) for key magazines. The world's most comprehensive source of full text for medical journals, providing full-text for more than 1,370 journals indexed in MEDLINE. Of those, more than 1,340 have cover-to-cover indexing in MEDLINE. Designed to offer current news pertaining to all branches of the military, this database offers a thorough collection of periodicals, academic journals and other content pertinent to the increasing needs of those sites. The Military & Government Collection provides cover-to-cover full text for nearly 300 journals and periodicals. The database also includes full text for 245 pamphlets and offers indexing and abstracts for nearly 400 titles. Some publications covered in this database include Air Force Comptroller, Army Reserve Magazine, Defence Studies, Global Security Review, JFQ: Joint Force Quarterly, Military Technology, National Review, Combat Edge, FBI Law Enforcement Bulletin, Foreign Affairs, Naval Forces, and many more. Many full text titles are available in native (searchable) PDF, or scanned-in-color. Includes full text from 238 sources, including 175 regional U.S. newspapers, 20 international newspapers, and 24 TV and radio news transcripts. Contains full text for the Los Angeles Times and transcripts from Face the Nation, CBS Evening News with Dan Rather, and 60 Minutes. Provides access to some indexes, including Books in Print, Periodical Abstracts, ERIC, Medline, Papers First, World Almanac and World Cat (a catalog of books, web resources, and other material cataloged by OCLC member libraries worldwide). Includes over 3500 books from APA and some other publishers, plus over 1500 entries from the Encyclopedia of Psychology. Produced by the American Psychological Association (APA), is an electronic serial of book reviews featuring full text reviews of current scholarly and professional books in psychology. The database also contains critiques of popular films and trade books from a psychological perspective. More than 36,000 reviews are included, dating back to 1956. PsycCRITIQUES is indexed with controlled vocabulary from APA's Thesaurus of Psychological Index Terms. Includes citations and some full-text to items not covered by PsycINFO: technical and annual reports, newsletters, newspapers, magazines, brochures, etc. Includes searchable full text of the DSM-5, the DSM-5 Library (updates, Handbook of Differential Diagnosis, and Clinical Cases), six journals published by the American Psychiatric Association, APA Practice Guidelines for the Treatment of Psychiatric Disorders, and The American Psychiatric Publishing Textbook of Clinical Psychiatry. A collection of streaming videos - most of them demonstrations of psychotherapy and counseling sessions - featuring the leading contributors of our time and covering a wide range of modalities, populations and approaches. Contains citations and abstracts for psychology books, book chapters, and dissertations and journal articles. International in scope, indexes over 1,700 publications in 30 languages. Links to full-text from all Alliant resources. A repository for the full text of psychological tests and measures as well as a rich source of structured information about the tests. Contains full text news wires with international news covering business, political, and economic spheres. Emphasizing current news, it covers only the most recent 30 days and is updated each day. Click here for instructions on using this database. Click here for instructions on using the Rosetta Stone mobile app. Contact the library for mobile login credentials. Online language learning! Use this link and setup a personal account. Social Science Research Network (SSRN) is devoted to the rapid worldwide dissemination of social science research and is composed of a number of specialized research networks in each of the social sciences. The SSRN eLibrary consists of two parts: an Abstract Database containing abstracts on over 261,200 scholarly working papers and forthcoming papers and an Electronic Paper Collection currently containing over 214,500 downloadable full text documents in Adobe Acrobat pdf format. The eLibrary also includes the research papers of a number of Fee Based Partner Publications. Provides indexing and abstracts for over 750 core journals dating back to 1895, 575 priority-coverage journals, and 2,800 selective-coverage journals. Includes full text for 344 core journals and 129 priority-coverage journals, as well as full text for more than 700 books and monographs and 6,800 conference papers. SPIN (Sponsored Programs Information Network) is a research funding opportunities database designed to provide up-to-date information on current national and international government and private funding sources. The SPIN website provides training videos to help you use the database or you may read through the Online Tutorial. Grants and Contracts recommends you sign in prior to using SPIN for increased functionality. This collection contains monographs on specialized topics, practical professional books, invaluable reference works, and key textbooks. A collection of open access content published by the World Bank, including World Development Reports, Policy Research Working Papers, Economic and Sector Work studies and academic books. 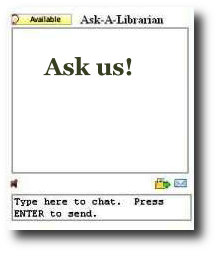 Online catalog for OCLC member libraries. Contains records for books, web sites, films, journals, articles, manuscripts, maps, newspapers, sound recordings, videotapes, and includes 400 languages.